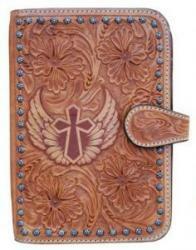 This leather binder makes the perfect accessory in keeping up with appointments, show dates, vacations and much more! 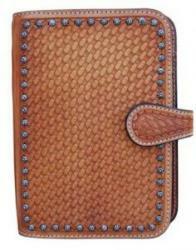 Our day planners are made of quality leather that is sure to stand up to day-to-day activities. Inside you can find a pen holder, and three pockets. 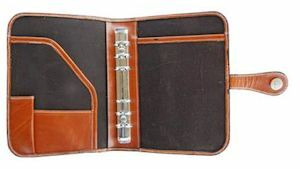 (One front, mini front, and back) The leather cover also contains 1 inch metal rings for the insertion of your planner. Dimensions: 8.5 in. x 6 in. x 1.5 in.